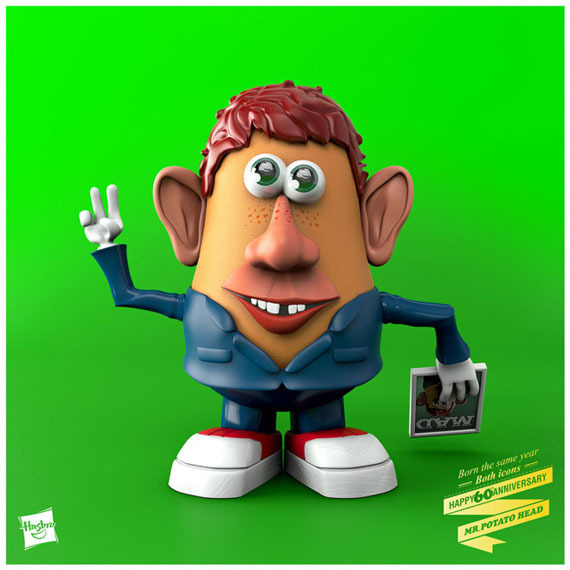 Digital artist Nacho Tamez of Media Bullys brings us this series of Mr. 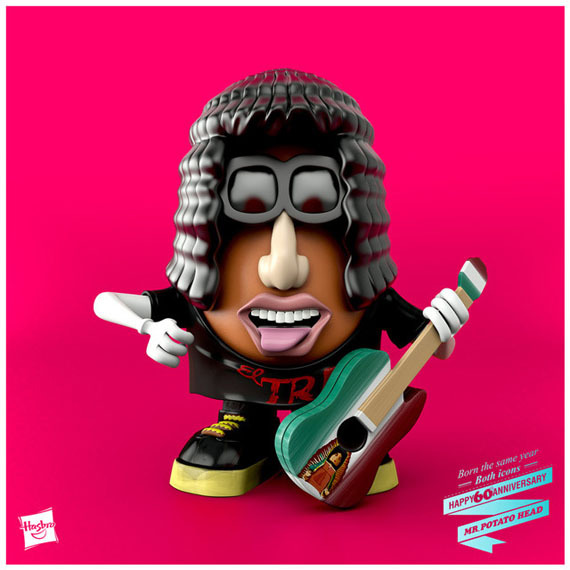 Potato Heads dressed like famous people. 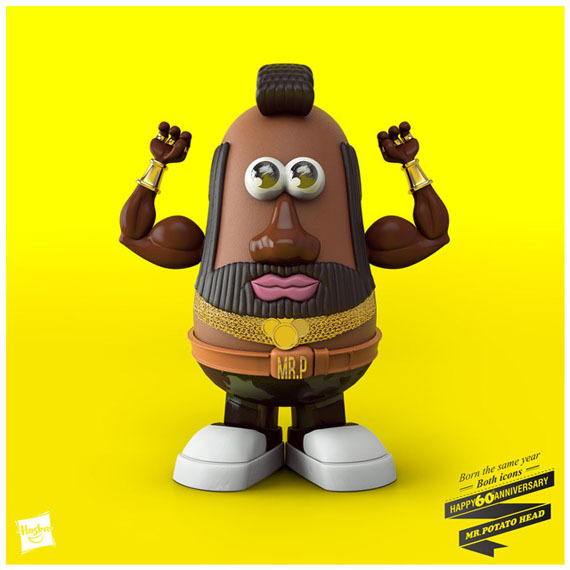 Nacho (the artist, NOT the chips and cheese combo) created Mr. Potato-replicas of the A Team’s Mr. T, MAD magazine’s Alfred E Neuman, Heaven’s Jesus, and more that I’m not completely positive who they’re supposed to be. Quality reporting — don’t thank me, I’m just doing my job! 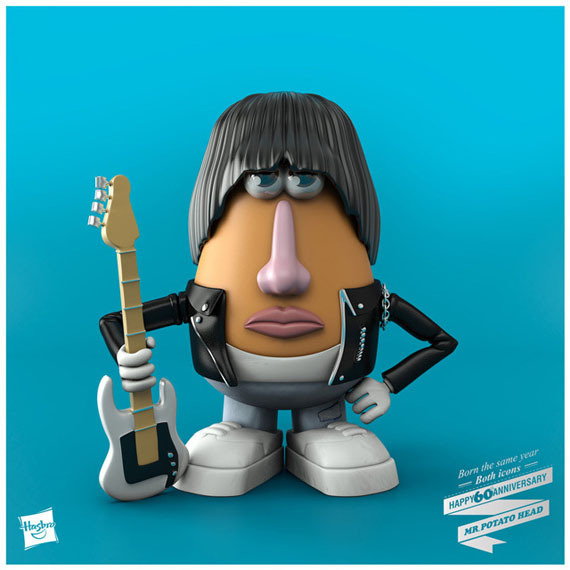 The series was made to celebrate everyone’s favorite spud’s 60th birthday. Sixty years old, huh? Well, ya don’t look a day over 45 if you ask me, Mr. 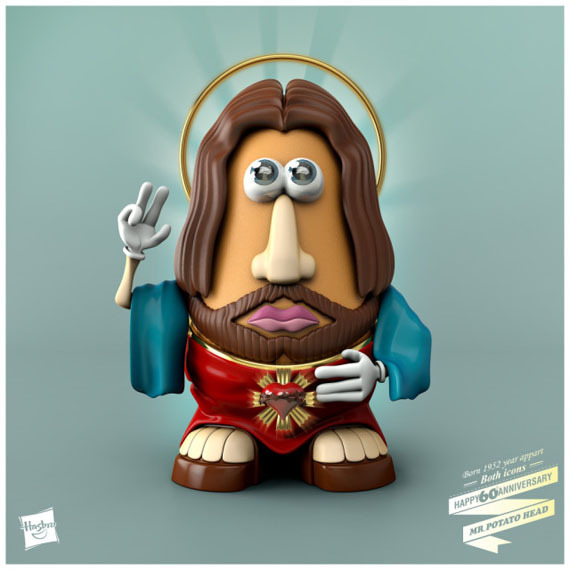 Potato Head! And that, my friends, is how you give a compliment.